Hello Wine has teamed up with boutique wine producer Albert Ahrens in an exclusive wine tasting in the rustic and acclaimed Italian restaurant True Italic this Friday, 16 May. Limited to 35 People only, this is a once in a lifetime opportunity and should not be missed! Tickets are R475 per person. 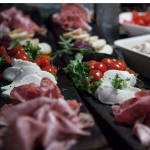 An authentic Italian 3 course meal prepared by illustrious chef and proprietor Luca di Pasquel. Opportunity to stock up your cellar on these limited edition wines at reduced prices. Booking and more information is on their website www.hellowine.co.za or call 079 907 3571 for any queries. We are hosting Albert Ahrens on the 4th of May as he shares his journey and passion for wine and the love of the land from which his fruit is grown, at the rustic and cosy Italian venue True Italic. 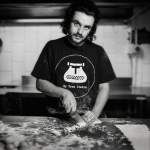 The illustrious Chef Luca di Pasquel puts together a spectacular authentic Italian menu as Albert tells his story and shares his handcrafted wines with you. Albert cut his teeth at the famed Lammershoek winery out in the dry Swartland region, originally recognised for not much more than wheat and cattle farming, the Swartland baron land has rapidly transformed its reputation for creating big, bold wines of very high acclaim. Having worked vintages in Champagne, Priorate and Rhône, Albert knows a thing or two about terrior, something which reflects clearly in his wines. “Wines need an address, it is their ID. All my wines are address specific, from a unique terroir or appellation as the French call it”, says Ahrens as he elaborates on the origins of his 71 year old Chenin vineyard that is blended into his Old Vine Chenin 2016. Craig smithers, having stumbled across Albert’s wines in a recent tasting, took a drive out to Paarl where Albert produces some of his sensational wines from a humble square cellar off a path less ventured. Being seated at a makeshift table & pilchard tins as spittoons, Albert began unpacking his wines, one by one, each wine having a fascinating story and purpose, of which can only be told by the true storyteller and creator himself! Albert’s winemaking philosophy is very much built on address, where ever cultivar is very carefully sourced by region/address, thus reflecting its true identity. He is fanatical about the origins of his fruit, where terroir plays a fundamental role and where winemaking intervention, such as oak plays only a minimal and supporting role.The best address wines feature varietals perfectly matched to terroir and are unique to that place. 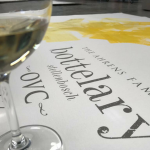 The true passion for what Albert does reflects in the final product, each label being painted to reflect the vintage and the wine in an attempt to tell it’s story. 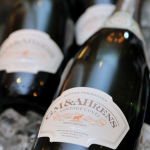 Albert now makes wine under 2 labels; ‘The Ahrens Family Wines’ and an MCC with friend Gerrit Maritz for the GM&AHrens label. Having spent 5 hours with Albert, listening to his journey as a winemaker, husband and father we felt it would be only fitting to share his story with you. I hope he is opening his bubbly for the night, I heard it is drunk by celebs and royalty.